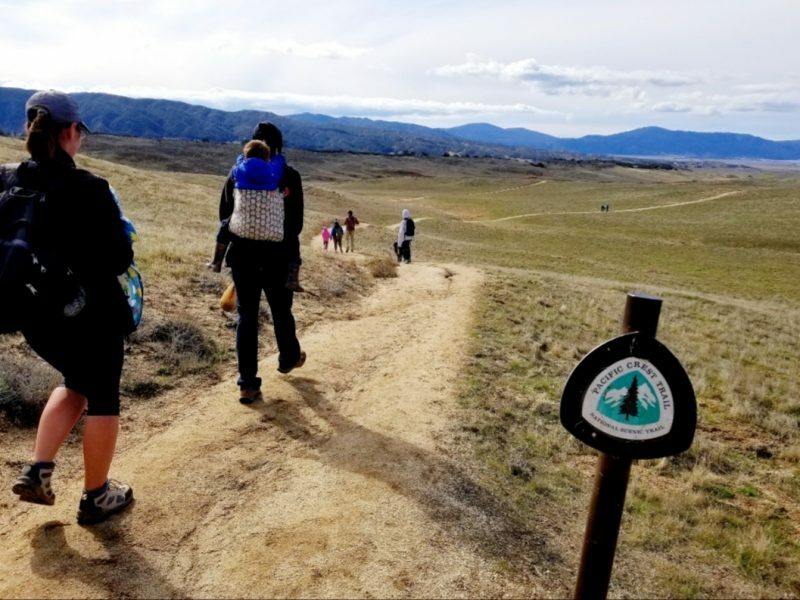 The Pacific Crest Trail is one of the most famous trails in the United States and here is your chance to hike on part of it! As a bonus, your turn around point will be the iconic and picture perfect Eagle Rock! 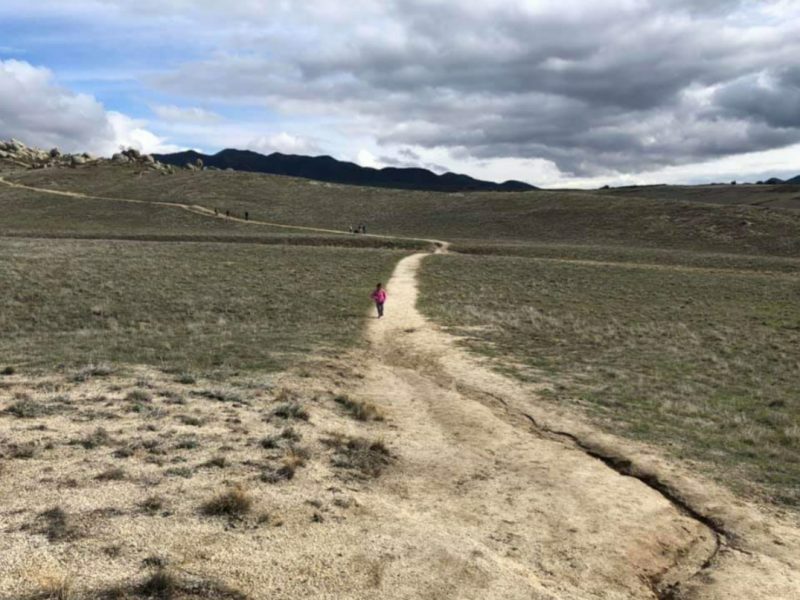 This trail is a 6.4 mile out and back trail and the trail is mostly flat with rolling hills. Half the trail is under gorgeous oak trees with a seasonal creek and the other half is desert. 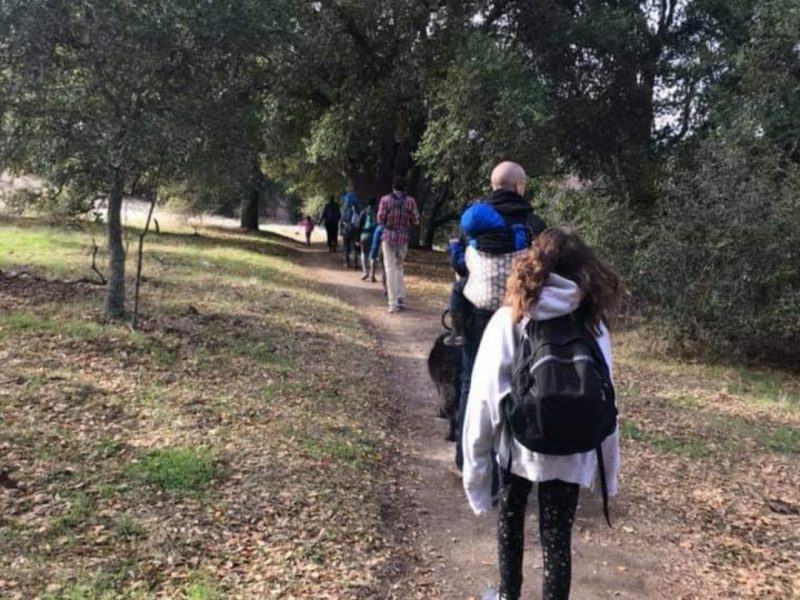 This trail is great for older strong walking kids, but younger ones will need to be in a carrier. Before you go make sure to check the weather because it can get extremely hot or extremely cold. Park in the Warner Springs Community Resource Center parking lot off the 79. From there, safely cross the 79 and head Southwest along the 79. Once you pass the fire station, you will see a trailhead to your left. Enter through the gate and continue along the trail. 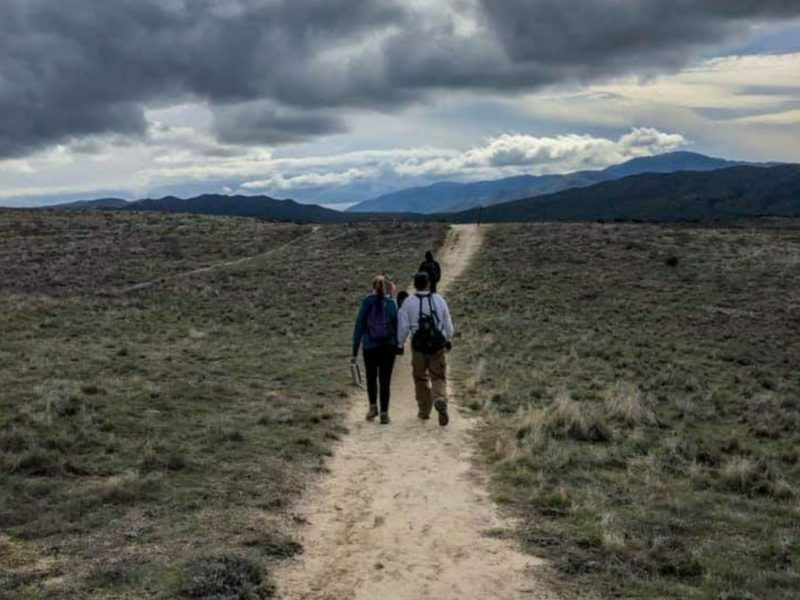 You are now on the famous Pacific Crest Trail! There will be a few trail intersections, but keep going straight. You will walk through oak trees for a little over 1.5 miles, then it will turn into desert with for another 1.5 miles. You should continue to see trail signs for the PCT every half mile or so. 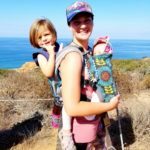 The PCT will take you straight to Eagle Rock. The “Eagle” is on the back side from the trail. There is a great place to sit along the rocks to eat a snack, rest, and let the kids get out of carriers to climb around the rocks. Once you are ready to head home, go back on the trail you came on. Restrooms: There are restrooms in the parking lot of the Resource Center. 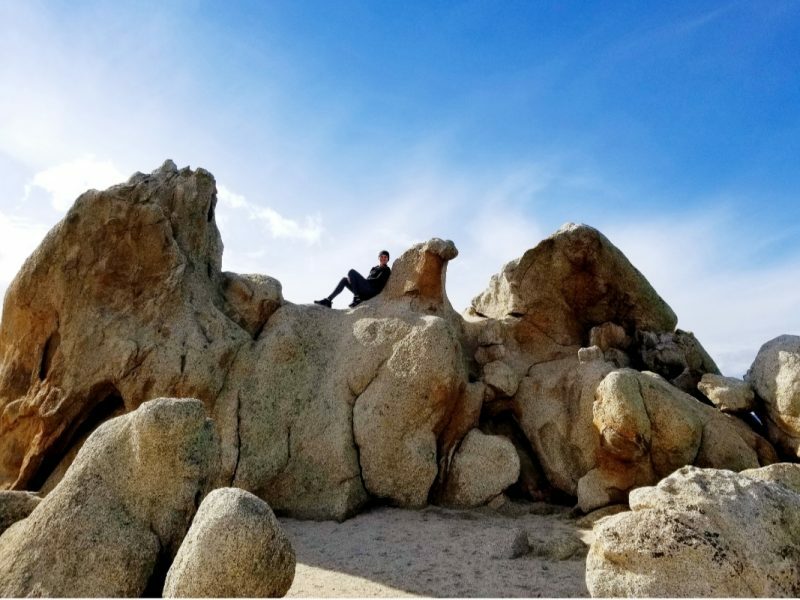 Hike along the famous Pacific Crest Trail to get to a giant rock that is shaped like an eagle! Park in the Warner Springs Community Resource Center parking lot off the 79. There may also be street parking near the trailhead.